Newtown Business Association - Times Publishing Newspapers, Inc. They are recognized as one of the largest non-chamber business associations in the entire region featuring over 300 members ranging from retail, non-profits, dining and professional services. NBA members dedicate their efforts to making Newtown the best place to live and work. Remember, whenever possible, support local NBA businesses that are committed to the community’s continued enrichment and excellence. The NBA has deep roots in the community, and are committed to giving back in the form of raising funds for many local non-profit and community-based organizations throughout the year. The organization hosts many free family friendly annual events in Newtown like the ever-popular Easter Egg Hunt (4/13/19), Welcome Day (5/5/19), Antique & Classic Car Show (7/21/19), Business Expo and Culinary Fair (9/11/19) and the largest holiday parade in Bucks County (12/8/19). They are cutting edge in technology with informative and a mobile-friendly website (www.NewtownBA.org), plus social media sites like Facebook.com/NewtownBusinessAssociation, Instagram, Twitter, Pinterest and Snapchat, where you can join in the conversation. NewtownBA.org is a great source to view the NBA online directory, download valuable coupons and learn the details about community events and charitable giving. Visit their website and social media sites frequently, as they update them on a regular basis with events and a community calendar at www.NewtownBA.org. Look for the NBA’s annual Newtown Community Guide and Business Directory in March, mailed to every home and business in Newtown. This publication features the NBA membership directory and community information. NBA members receive a free listing in the Community Guides as well as an opportunity to purchase advertising at greatly discounted rates. Details are available online or contact NBA Marketing Coordinator, Leigh Sheek-Vogel, at Leigh@turningpointdm.com. Fred Z. Poritsky, Treasurer – FZP Digital. Rodney Warner – Writer for Hire. 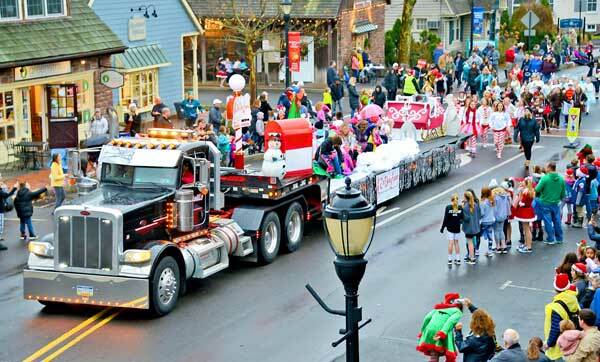 PHOTO CAP: The NBA hopes you enjoyed The NBA & McCaffrey’s Holiday Parade as much as we did! Happy New Year, Newtown!